Centrally located just off I-70 to all Columbia area attractions and businesses. Less than 2 miles from University of Missouri and historical downtown. Free full hot breakfast buffet. 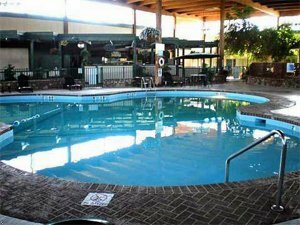 Indoor pool area includes - hot tub, game room, exercise room and sauna. All rooms include: coffee maker, iron/board, free wireless high speed internet, hair dryer and cable TV with HBO. Refrigerator and microwaves available. Meeting room and full banquet facilities. Pet accommodation: 20.00/night per pet.Pets are allowed in designated rooms. If not advised of pet, $50 per pet, per night fee will be charged. Any local guest must present valid credit card at check-in. I-70 West bound take exit 126 Providence Road, turn right then immediate right. I-70 East bound take exit 126, turn left then first right over the overpass.